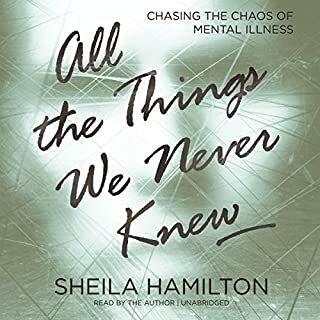 This book adds to the much too limited collection of books that provide an inside look into the world of mental illness. Shiela Hamilton presents mental illness from the perspective of the supporting spouse. Like 99% of spouses, she had virtually no knowledge or understanding about mental illness prior to her experiences with her husband. She describes in great detail the raw emotional feelings that she experienced over a 10 year period. She also describes her husband's emotional struggles. The book is very well written and delivered well by the author for the audiobook. After listening to 27 of the 30 chapters of the audiobook, I decided to read some of the reader reviews. A few reviews appear to treat Ms. Hamilton unfairly and with a lot judgment. The vast majority of people in her situation would not have been able to recognize her husband's symptoms in the marriage's early years. Most people are not trained mental health clinicians. From my perspective, the fact that she did not extricate herself from a very difficult situation for herself and her daughter speaks to her love of her husband and her basic humanity. Her humanity is further illustrated by her involvement in mental health causes and her obvious yearning to understand her late husband's illness. This book is bringing much needed awareness to the field of mental health. It will help others who are in similar situations with family members. 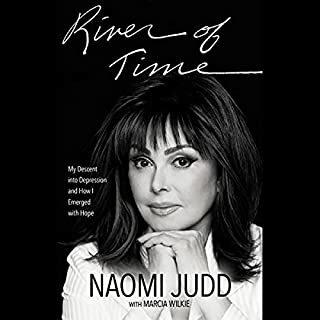 The world knows Naomi Judd as one of the most successful and best-loved country music stars ever. What the world hasn't known - until now - is that after her 2010 and 2011 North American tour with Wynonna, Naomi fell into a debilitating and terrifying depression that seemingly came out of nowhere. Just months after the successful tour ended, Naomi truly believed she had every reason to end her life. Naomi's book could serve as a textbook on clinical depression for many clinicians and sufferers of depression. Anybody who has ever had the misfortune of experiencing major depression can definitely relate to the descriptions of her emotional turmoil in this book. I also like her advice for individuals to share their mental health experiences in order to help to reduce the social stigma and ignorance associated with mental health disorders. Lastly, I am happy that Naomi was able to address the spiritual component in her healing process. Thanks for the courage to write this important book. Merry Christmas!